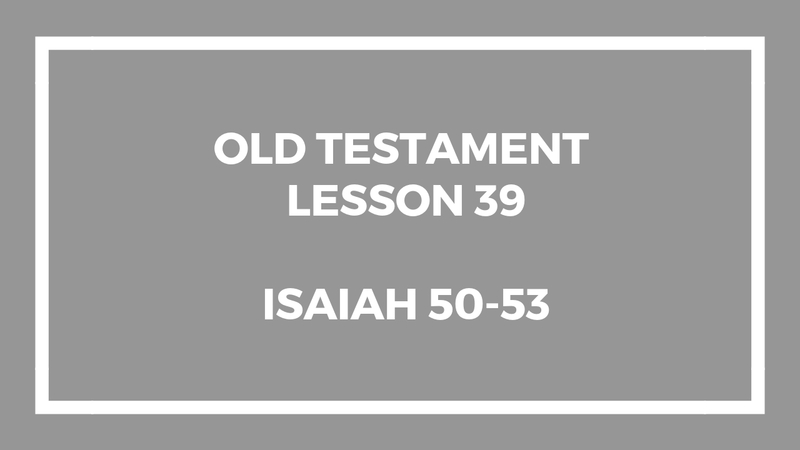 This lesson only covers certain parts of Chapters 50-53. We go over Isaiah during the next class as well. That will be the last class on Isaiah this year. This entry was posted in Gospel Doctrine Helps and tagged Book of Isaiah, gospel doctrine, gospel doctrine helps, how beautiful upon the mountains, Isaiah 50, Isaiah 51, Isaiah 52, Isaiah 53, old testament lesson 39 on September 27, 2018 by admin.